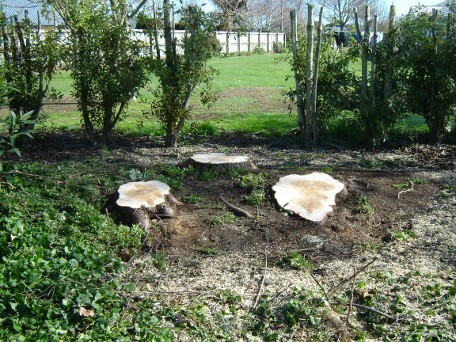 Do you have tree stumps in your lawn or garden? Do you require stump removal? Are they unsightly and in your way? Tree stump removal of any size is no trouble at all for our arborists – our powerful stump grinder makes short work of even the toughest tree stumps! 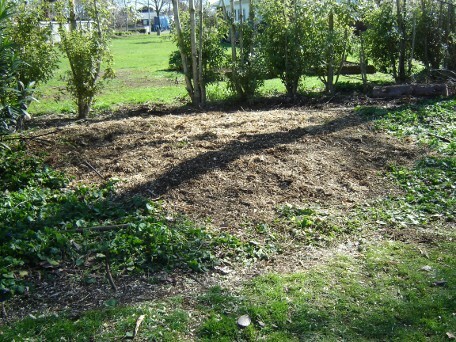 When the tree stump removal is complete, the area can be reinstated into lawn or garden, or even another tree planted in the same place. We use a stump grinding machine (or stump grinder). The front of the stump grinder has a spinning disc with cutting teeth attached. 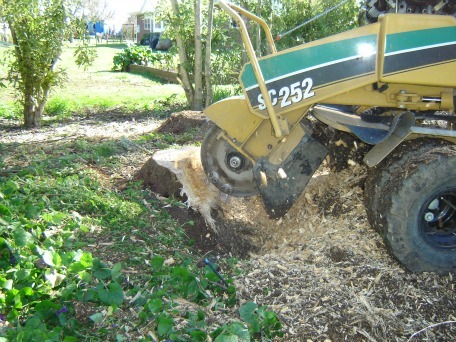 The teeth grind up the stump and surrounding soil into a mixture of wood mulch and soil. Our usual stump grinding depth is 30cm below ground level. 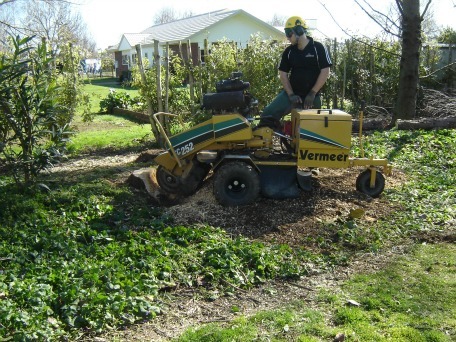 The stump grinder is built to grind all sizes of stumps from tiny to very large. If it is necessary we can remove the machine’s outer wheels to squeeze it through a 1 metre wide gateway!